Nepal hydro developer Tanahu Hydropower Ltd. invites expressions of interest from consultants to provide hydropower construction supervision for the 140-MW Tanahu hydroelectric project on Nepal’s Seti River. Responses are due August 16. Tanahu (or Tanahun) originally was called the Upper Seti project, an estimated 127-MW plant that was among 10,000 MW of hydropower projects established as a priority over ten years by Nepal. Recently the project received a US$72.3 million loan from the European Investment Bank, a US$157 million loan from the government of Japan,US$30 million from the Abu Dhabi Fund for Development, and US$150 million each from the Asian Development Bank (ADB) and Japan International Cooperation Agency. The project is to include a 140-MW hydropower plant with significant water storage facilities, a sediment flushing system, and transmission lines; rural electrification and community development; and a reform and restructuring plan for the Nepal Electricity Authority. Tanahu Hydropower Ltd. seeks a project supervision consultant to support project administration, design and engineering services, contracting, management control, procurement and expediting of equipment, pre-commissioning and completion, training, and all financial, human resources, and administrative management during construction and operation. In addition to project implementation planning, the consultant is to review a detailed engineering study of the original Upper Seti project prepared by DES Consultants. The work has a budget of US$27.4 million. 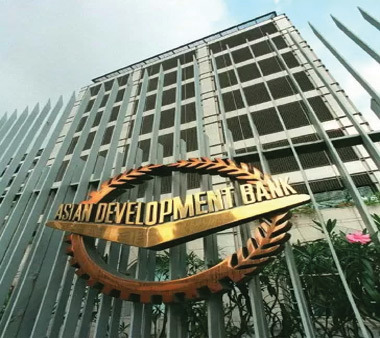 A solicitation notice, including terms of reference, may be obtained from the ADB Internet site, www.adb.org, under the links “Businesses,” “Consulting Opportunities,” “Energy,” “LOAN 43281-013.” Expressions of interest are to be submitted via the ADB website by August 16.